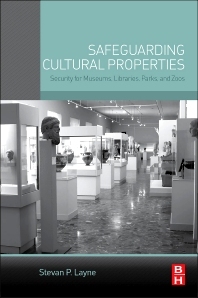 Safeguarding Cultural Properties is a step-by-step guide for creating and maintaining a comprehensive security program in any cultural facility or public institution. Author Stevan P. Layne, the leading expert in the field of cultural property protection, draws from his many years of experience providing protection training and planning to more than 350 cultural and public institutions around the world. Designed especially for those with limited security budgets, the book provides a proven and effective program for hiring the right security personnel, selecting the appropriate electronic security systems, and coordinating critical emergency response, along with all the other security issues unique to the needs of a cultural institution. For individuals responsible for the protection of the people, assets, and collections, Safeguarding Cultural Properties saves time and money by providing the essential resources needed for creating a short- and long-term protection plan. Steve Layne is an internationally recognized authority on the protection of cultural properties, guard force management, and training. He is the founding director of the International Foundation for Cultural Property Protection (IFCPP) and responsible for the development of its widely acclaimed certification programs. Steve is a former police chief, public safety director, and museum security director. He currently heads an international consulting firm assisting business, industry, and government, to include several hundred cultural and educational institutions. 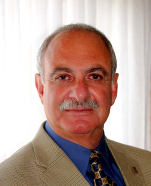 Steve served as a provost marshal in the U.S. Army followed by over 30 years in law enforcement and private security. He is a Certified Protection Professional, Certified Institutional Protection Manager and Instructor, and a Certified MOAB (Management of Aggressive Behavior) Instructor. Steve resides in Nokomis, Florida and Denver Colorado.